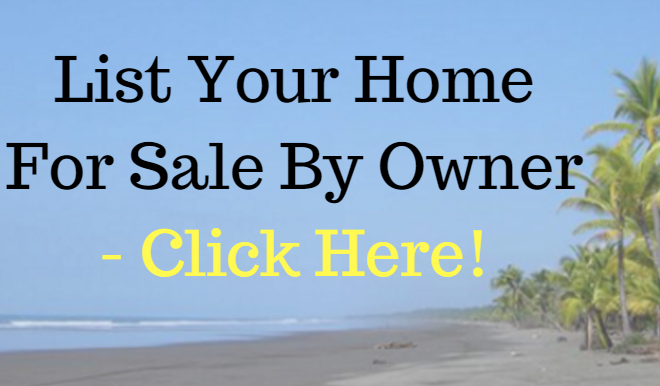 Home | Travel Services | Insurance in Costa Rica | American Expats & How ObamaCare Affects YOU! I’ve been doing some research and talking to Accountants and International Insurance companies as well as Local US Brokers and to say the least many are still in the dark about the domestic ramifications. Whether you are an opponent or proponent of this law…I believe it’s here to stay in some form for many years to come…I’m sure there will be many kinks and bumps in the road…SO, How does this affect YOU as an Expat? Obamacare is being rolled out in two phases. The first phase of the plan started in 2010. Some of the changes that are already in place are allowing children to stay on their parents’ health insurance until the age of 26, closing of the Medicare prescription donut hole, preventing insurance companies from denying coverage for children with pre-existing conditions, removing lifetime payment limits on insurance coverage and banning insurance companies from the practice of denying or removing coverage after someone falls sick. In 2013, the Medicare payroll tax is also set to be raised from 1.45% to 2.35% for individuals who earn $200,000 or more and joint filers earning more than $250,000. The second phase, which goes into effect by January 1st, 2014, is when the national health care plan goes into full force. Some of the changes set to occur are prohibiting insurers from denying coverage to individuals with pre-existing conditions, getting rid of annual spending limits and expanding Medicaid to allow anyone earning 133% of the poverty line to qualify. State health insurance exchanges for small companies and individuals that offer a pool of insurance companies to choose from should be in effect. The exchanges will give any individual who gets their insurance through their employer an option to purchase a state-run health insurance option if their premiums are more than 9.5% of their income or if their plan does not cover 60% of the cost of their benefits. These changes in health care all sound optimistic for individuals who are currently struggling to afford the insurance offered by their employer, the unemployed and the self- employed. However, with the economic conditions over the last 5 years, many adults are looking to move to other countries to start building a life where costs are lower, which begs the question: Where does this leave the expatriot in regards to Obamacare? In the new IRS tax code, expatriates are treated as if they have health insurance regardless of whether they do or not. Although in order to be exempt from the insurance mandate, American expatriates must already be eligible for the IRS “Foreign Earned Income Exclusion”. To qualify for the exclusion which allows expats to avoid paying U.S. taxes on their first $91,500.00, the expatriate must have a tax home in a foreign country, as well as be either a legitimate resident in that country, or spend at least 330 days a year outside the United States. Expats will not be penalized for not having American health insurance under Obamacare and the new IRS tax code regarding expatriates. In late June, the Supreme Court upheld most of the provisions of what has been called Obamacare, otherwise known as the US Patient Protection and Affordable Care Act (PPACA). One of the most controversial items in the PPACA states that US citizens must either carry healthcare coverage or pay a penalty in the form of a tax starting in 2014. The amount of the tax is scheduled to rise to $695 per year by 2016. But the question remains: will this be applied to Americans who pay expatriate taxes? Creveling and Creveling contacted lawmakers and underwriters to ask just this question, and reports that for the most part, expatriate taxes will not be impacted by the PPACA. Instead, the law is state-focused and refers to domestic insurance plans, so is therefore available only to residents of US states. Taxpayers living overseas who have been worried about being forced to purchase specific forms of health insurance will be relieved. However, this may be discouraging to expats who have difficulties finding affordable coverage due to pre-existing or chronic health conditions. Americans living overseas will be relieved to know that the PPACA mandate — and therefore the penalty tax — does not include expats. For the purposes of Obamacare, if you are qualified to claim the Foreign Earned Income Exclusion, you will be assumed to have the required amount of health insurance and will therefore be exempt from being assessed penalties on your expatriate taxes. This is true even if you do not have any health insurance at all. But this does mean that if you do not qualify for the Foreign Earned Income Exclusion, you may be required to purchase PPACA-approved health insurance coverage or face a penalty. One point to remember is that, starting in 2013, there may be an impact on your expatriate taxes if your income exceeds certain levels. Those are $200,000 for a single filer, $250,000 for married filing jointly, or $125,000 for married filing separately. For high-earning expats, you will be required to pay an extra 3.8% tax on passive income such as capital gains, interest, rents, and so on. If you pay Medicare payroll taxes, you will have to contribute an extra 0.9% on income earned above those thresholds. Obamacare, or PPACA, Patient Protection and Affordable Care Act, mainly applies to those under 65. Medicare is a separate government health program. Obamacare rules apply mostly to individual and group health insurance policies for Americans under 65 and who are not yet eligible for Medicare. Medicare premiums are also not related to Obamacare. There has been some discussion and concern that the Part B premium may go up to $247.00 a month in 2014. Obamacare does not determine Medicare Part B premiums. The CMS, Centers for Medicare and Medicaid Services, uses a formula that has been in place for years to determine the Part B premiums for the coming year. The premiums are determined by claims losses from Medicare in the prior year. You could see an increase in Part B premiums if the Medicare spending is higher from one year to the next. If you income goes up, you might pay more as well. Seniors are also concerned that they may lose some benefits in their Medicare Advantage Plan. In 2014, you may see some Medicare Advantage plans reduce benefits because Congress made changes to how Medicare Advantage plans are paid from CMS and must reduce what were considered “overpayments” to private Medicare insurance companies who offer Medicare Advantage plans. Obamacare does not affect this aspect of Medicare. Medicare does not provide any coverage to seniors when they travel outside of the U.S. Seniors need to have a supplemental Medicare plan in order to receive international health care coverage. These supplemental plans cover traveling seniors up to $50,000.00, for up to 60 days. If you are outside the country for more than 60 days, you are uncovered. International health insurance is necessary for seniors that may spend more than 60 days out of the country, such as seniors who own second homes in a foreign country. The Medigap policies that will cover international travel are C,D,E,F,G,H,I and J. Under these plans, Medigap policies pay for 80% of the cost of emergency care during the first 60 days of each trip after you pay the $250 deductible. 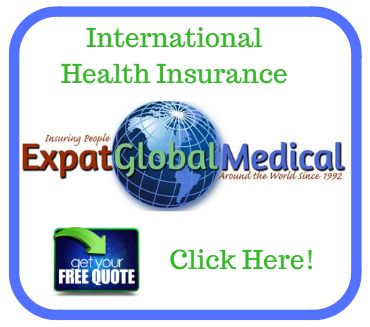 Foreign Travel Emergency coverage with Medigap policies have a lifetime limit of $50,000. The national Obamacare program is separate from the Medicare program, and has very little affect on rates or coverage. NOTE: This information is for educational purposes; it is highly suggested you contact your Accountant and Financial Investment Professional.